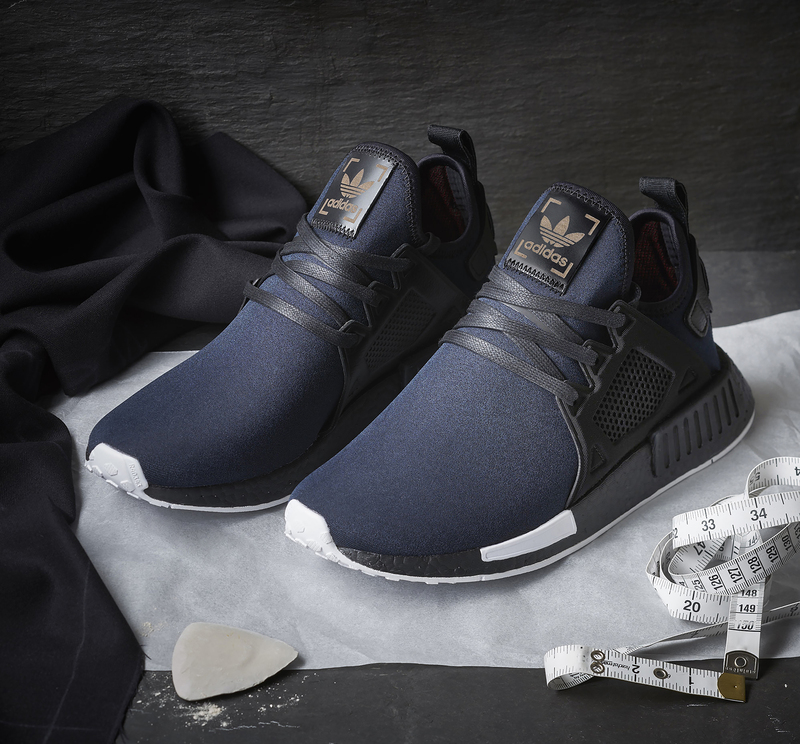 After giving you a brief glimpse at the brand behind our latest collaboration with adidas Originals, we’re pleased to present two very special renditions of the NMD_XR1 and NMD_R2. London’s renowned Savile Row has always been a mecca for those in search of the finest tailoring in the world, and attracts a discerning customer looking for something a bit different. Henry Poole was the first tailor to open their doors on the street, and was key in establishing the identity of the Savile Row area for bespoke suit making. What first began as a family business has since been passed down the generations and is still family owned to this day, handing down expertise from one generation to another. 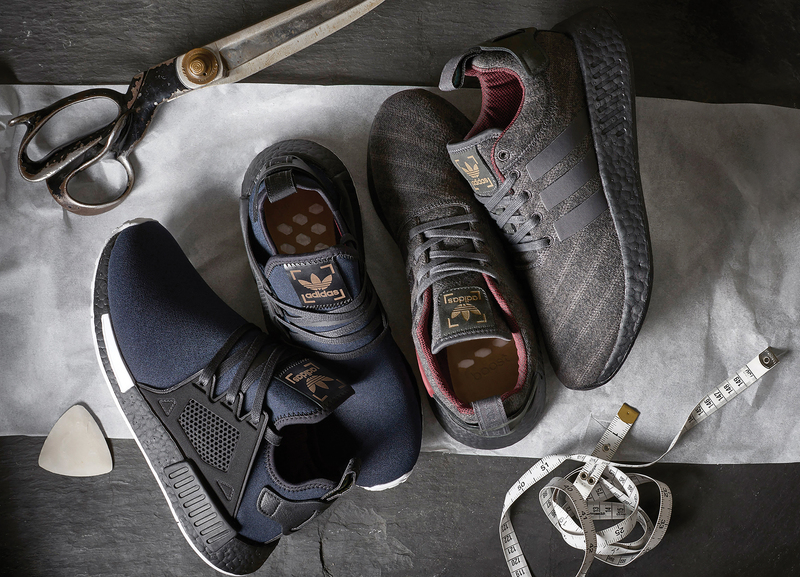 Together with adidas Originals and Henry Poole in a three way collaborative project, we’ve created two versions of the NMD_XR1 and NMD_R2 that pay homage to the craftsmanship that goes into creating a bespoke suit. 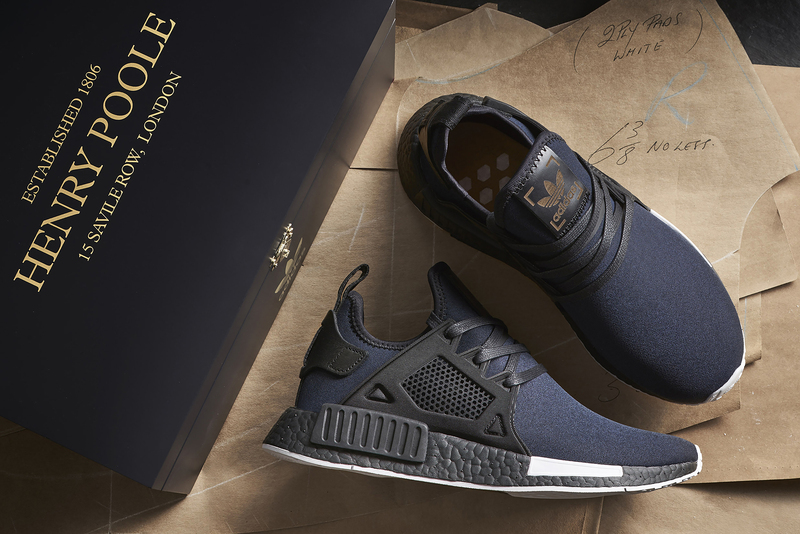 The theme of the XR1 is inspired by the fabled Dinner Jacket pioneered by Henry Poole in the early 1800’s, making use of the same Midnight Blue colouring found on the original garment. The true colour of a classic Tuxedo is actually Midnight Blue, which when viewed under artificial light appears darker than your standard black. Additional details include the medial cage, which has been formed using the same Grosgrain silk found in the lapels of a dinner jacket. 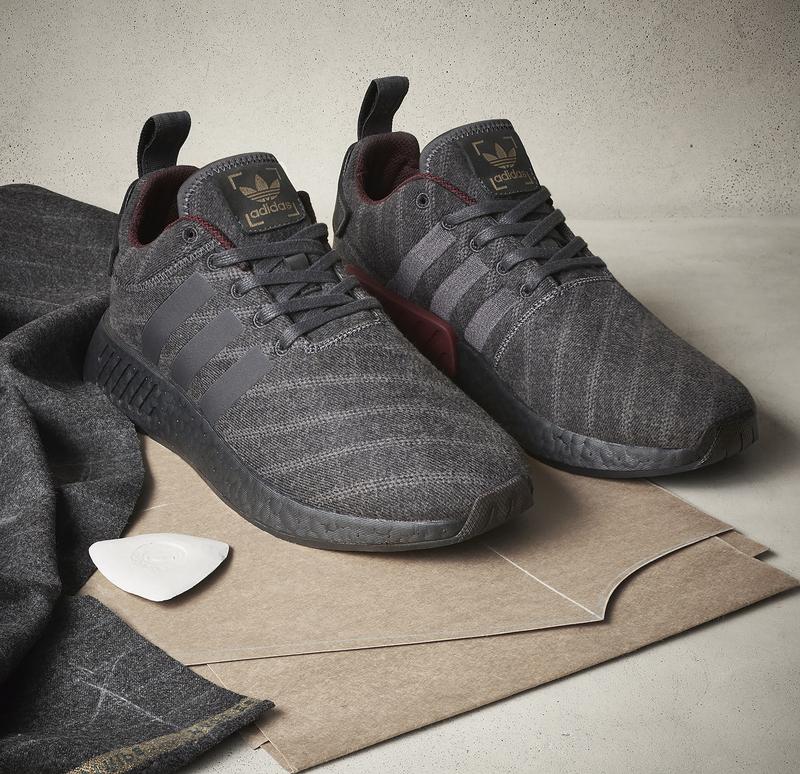 The R2 follows a similar theme, incorporating a reinterpreted version of the classic Chalk Stripe flannel fabric, famously worn by Prime Minister Winston Churchill. For this collaboration a brand new variation of this material has been woven, and when each stripe is viewed up close you can see it’s actually built out of the iconic three stripes rather than the traditional two. Carrying details over onto the inside of each pair, the sockliner makes use of the same silk Cundey Weave fabric found on Henry Poole Suit Linings and Ties. Both are finished off with suede and leather detailing on the heel panels and tongue tabs, and underneath each heeltab you’ll find Henry Poole’s signature Selvedge, a seal of approval on a very special collaboration. 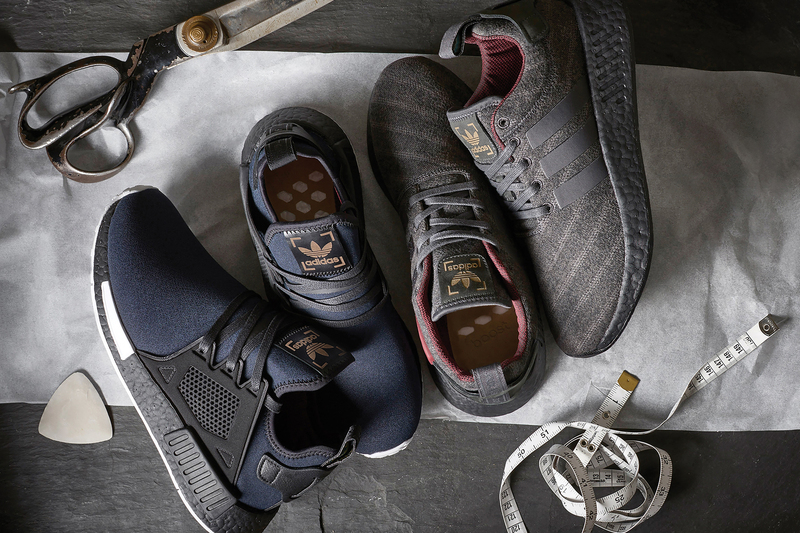 Due to popular demand, we’re giving you a second opportunity to purchase the adidas Originals x size? 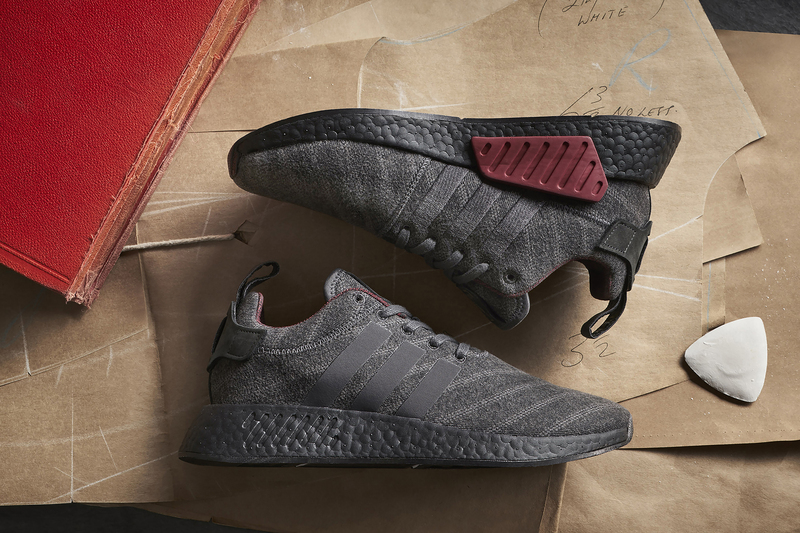 Henry Poole NMD_R2, which will be available through the size? Previews App and in our size? 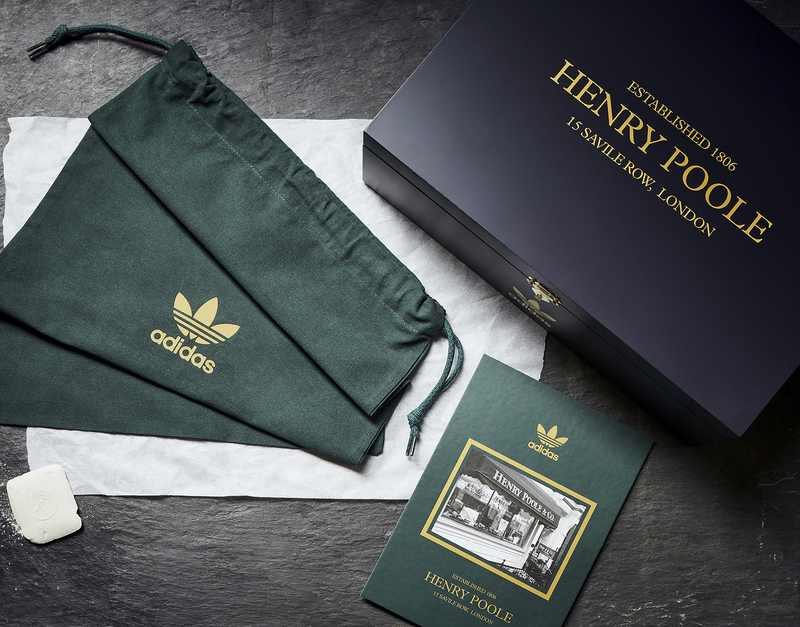 Manchester, Carnaby Street, Nottingham, Bath, Harrods, Amsterdam and Leeds stores on Saturday 18th November, priced at £150.